As a teaser to his upcoming EP, Tony X has released a song titled Raindrop, which is meant as a short introduction as to what is to be expected his yet untitled project. In Raindrop, Tony sings about finally getting this girl to break her walls and trusting him with her satisfaction. 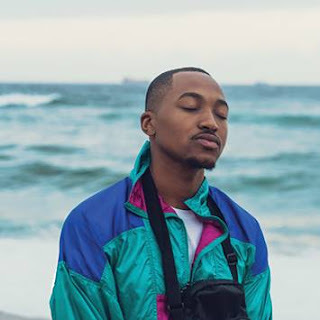 Since releasing his first single titled What You Need in December 2017, Tony X has been working hard to a distinctive sound that transcends beyond the typical RnB sound. He's finally found his sound, and he's here to takeover the winter with it. Born and bred in the platinum city of Rustenburg , RnB artist Tony X brings a fresh new face to the local RnB/Hip hop scene. Through his unique approach to the genre of RnB, fused with a hip hop swagger, Tony X has set his sights on quenching the industry’s thirst for a superstar male singer. With the urban RnB industry in Mzansi still struggling to establish itself as a solid mainstream genre, Tony X aspires to pioneer the genre’s rebirth. Influenced by the likes of Chris Brown, Omarion & Bryson Tiller, he brings to the table melodic hooks that generally touch on love, lust and romance. His music is also heavily centred on sharing his experiences as a young student experiencing relationships, heartbreak and all that it comes with. These are experiences he hopes to share through the powerful tool of self-expression which is his musical storytelling. 2017 saw Tony X partner with Punchline Music to release the EP, Pissed Off The Neighbours, alongside Manu WorldStar, Dee XCLSV and Luna Florentino. The project trended on twitter upon its release and has enjoyed a very successful media run thus far which includes interviews on YFM, Touch HD, Massiv Metro, Frequency Music and Times Live. Previous to that, Tony worked under Ambitiouz Entertainment as a back-up vocalist for award-winning artist Fifi Cooper.